I have been in the furniture industry, as I have previously stated, for more than three decades. I rarely come across furniture words or terms that are related to furniture or wood that I am not familiar with. As I have researched the articles that I have written for Furniche.com, however, I have discovered an abundance of terms that I, either didn’t know or knew incompletely. Let’s start with some terms that pertain to wood veneer. Veneer is a very common term. Most people are familiar with the general meaning of the word. Veneers are very thinly sliced sheets of wood. These thin sheets of wood are usually used for decorative purposes but they may be used in construction grade lumber to attain a level of uniformity of appearance. 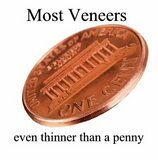 Most veneer is 1/42 of an inch thick these days. With the advent of rustic designs that have heavy distressing, a few years ago, veneers have become thicker to allow for intentional gouges and sanding at edges. Some of today’s veneers are up to 1/16 of an inch thick. Modern veneers are cut in several different ways on machinery that is designed only for that purpose. Most of the methods used to slice veneer are variations of two basic methods: rotary slicing or plain (flat) slicing. The variations in method are usually for the purpose of making what is referred to as figure. Figure refers to the shape that the grain forms, such as cathedral or mirror. Certain methods of slicing veneer are better for working with different species of wood or to work with various anomalies in the log. For example, burl or burr veneer must be worked in a different manner than quarter sawn veneer to obtain the most yield and achieve the unique appearance. Here’s a question for you. Is veneer a modern method of maximizing manufacturer’s profit by not using solid wood? No! Veneers actually go back hundreds of years. Veneering is the only way to create certain effects in wood. The process also is needed to get the most out of some of the more uncommon woods such as Burl or Brazilian Mahogany. Does everybody know what burl wood is? Okay, burl is the wood in those unsightly large bumps on some trees. According to “The Complete Manual of Woodworking” by Jackson, Day and Jennings, burled veneer is the most expensive veneer on the market. Much of the wood in luxury cars is burled. Plain slicing veneer is a method of cutting wood that results in narrower more decorative leaves. These veneer leaves may be laid up on a substrate to look like solid boards that are glued up. If you are trying to determine if the table or desk that you are looking at has a solid top or a veneer top, follow a grain line to the edge of the furniture. If the line goes straight over the edge or just disappears, it is veneer. With solid wood table or desktops, you will be able to follow the grain over the edge and onto the bottom, if you are so inclined. The grain line will break off at a sharp angle as it moves over the edge. Why? Because, the tree that the board you are inspecting came from, was more or less round and the grain lines of the board are actually the growth rings. Rotary slicing logs for veneer will often end up producing wild and wavy grain patterns.A good example of this would be the sides of a relatively inexpensive oak bookcase. Upon inspection, you may see grain that defies description. The grain may be very widely spaced and the lines may be very wide. When I see rotary sliced oak veneer on the outside of a case piece, I run the other way. Flat cut veneer is, sometimes, richer looking than rotary sliced. There are, however, many exceptions to the above statement. There is some very expensive furniture that is made from curly maple or bird’s eye maple, both veneers that are rotary sliced. In the end, what matters when it comes to veneer, is whether or not the look is pleasing to you. If you are buying furniture, it is good to be able to tell if it is made from solid wood, veneer or a mixture of the two. Veneer may be used for its beauty or it may be used over a stable substrate like medium density fiberboard to avoid problems such as warping, bowing or cracking. 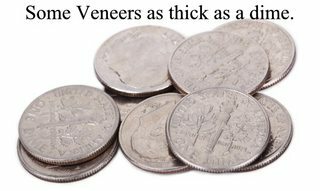 Veneer may also be used to keep the price of the furniture within a certain range. Be informed and make sure that you get what you pay for.